There’s a lot of things right with the Beyerdynamic DT 240 PRO. The build consists of aluminum and leatherette fabric, and thoughtful features like the stress-relievers at the ends of the cables and portability features like the detachable cable make a convincing case for its quality. The audio performance might feel balanced to all but the most discerning ears, and even then, there’s only a small amount of bias towards the lows to be found. While the DT 240 PRO is marked at Rs.7500 officially, you can get it from Amazon or HeadphoneZone for about Rs.6700. 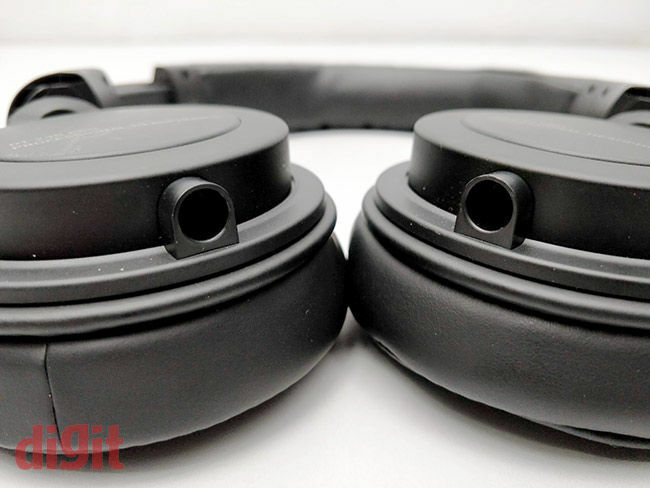 Overall, the DT 240 PRO gives good competition to the ATH-M40X at this price point. Beyerdynamic is a seasoned name in the world of quality audio products. They’ve been manufacturing gear for audiophiles and enthusiasts alike for more than 90 years. 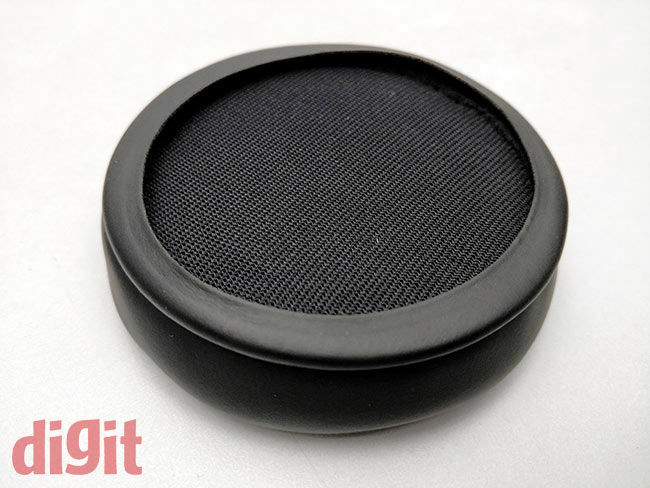 Over the years they’ve released some of the best premium gear for studio monitoring as well, however, those are usually out of reach for most amateur audio enthusiasts and the casual shopper. With the DT 240 PRO, Beyerdynamic brings studio quality audio at an affordable price point, with exteriors that also try and match up to the budget segment without compromising on quality. While it does seem promising right out of the box, there’s a lot to be seen in its performance. If you have a look at the Beyerdynamic portfolio for Studio and Monitoring headphones and headsets, one thing is immediately apparent – the DT 240 PRO is designed to be more attractive to a general audience as compared to the other headphones in the DT range which are designed for audiophiles. Even the immediate next entry in the series, the DT 880 PRO, is significantly bigger, less portable and heavier by a hundred grams. That being said, Beyerdynamic doesn’t compromise on its design quality anywhere. Right out of the box you can see that Beyerdynamic wants you to carry these babies around. The c-shaped yokes can pivot up to 90 degrees to stay flat inside your bag, and the overall size of the DT 240 PRO is also small-ish, more in line with portable Bluetooth headsets like the JBL E55BT. However, don’t let that mislead you into expecting a cheap-feeling pair of cans. The aluminium yokes come with notched sliders letting you know exactly how much the cans are extended. 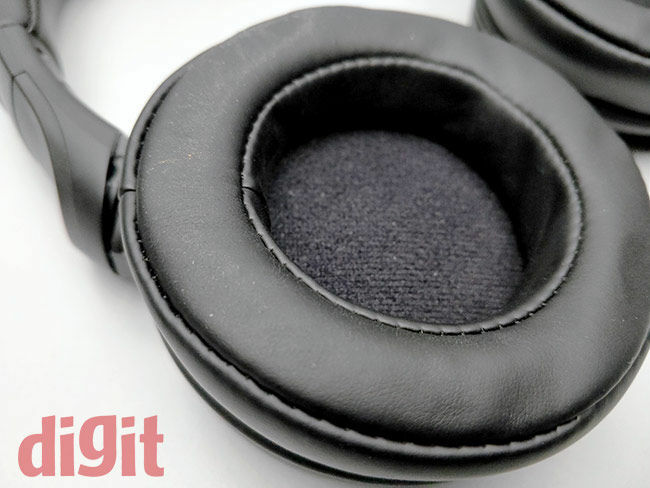 Sounds like an unnecessary feature, but it does add some toughness to everyday use, which is missing from a lot of competing headphones. 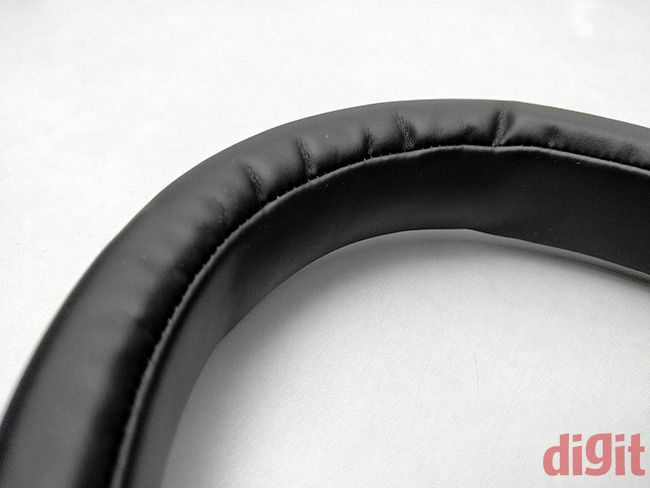 The headband itself is also metal-built and covered with the same leatherette that covers the cups. While there’s some creaking if you twist the structure, we don’t see that happening in everyday usage. The included 1.5-metre cable is a 3.5 mm to 2.5 mm coiled piece that is extendable up to 3- metres. The cable is quite thick without being obtrusively so. The 2.5 mm end can go into either cup depending on user preference. 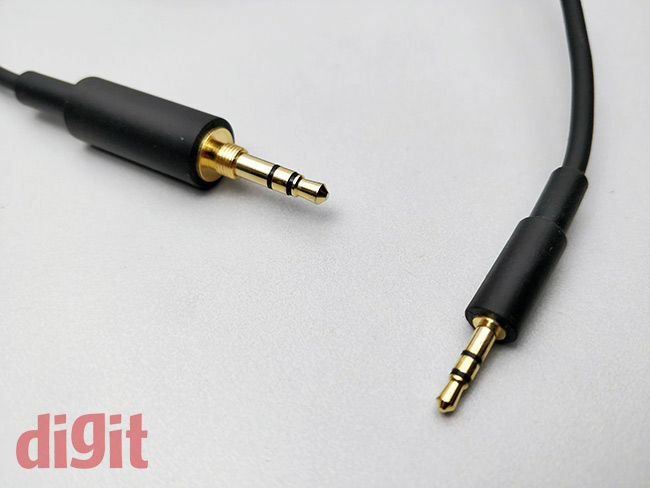 The gold-plated 3.5 mm end can be screwed into the included ¼-inch adapter for when you need to plug it into compatible jacks. Both the cables also have stress-relievers on the ends which is very thoughtful of Beyerdynamic, considering that these cans are intended to be packed into bags. We did exactly that and faced no difficulties with the DT 240 PRO. To nitpick, the included nylon pouch is not that useful. This brings us to the troublesome part of the 240 PRO’s design - the cup size. While they look like over-ears, Beyerdynamic hasn’t designed the 240 PRO’s cups to fit all ears, especially larger than average ones. The cups have an outer diameter of 8cm but the limited inner diameter of 4.5cms leaves most ears excluded. This, combined with the limited foam cushioning and the moderate clamping force makes it difficult to recommend extended usage for the DT 240 PRO. Larger, over-ear cups like those found in the M40X would have been better, considering how the cushioning itself in the earcups and the headband is better than the M40X. The DT and PRO tags on the DT 240 PRO come with the responsibility of maintaining a balanced, flat response and these cans do not disappoint. However, there’s just the right amount of punch infused to the lows to make it more appealing to a larger audience. 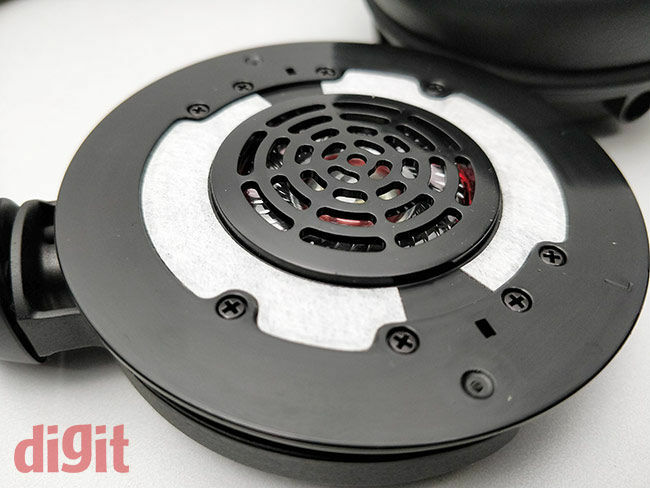 The DT 240 PRO doesn’t lack power by any means – we pushed it to max volume on the FiiO M3K and were not disappointed at all. There’s enough in there to make the earcups vibrate on bass heavy tracks like I’m an Albatraoz by Aron Chupa, and yet the distortion is kept to a minimum. The bass doesn’t sound thumpy and retains clarity at all volume levels. There’s adequate detail reproduction as well. The myriad instruments on Choti si Asha from Roja sound crisp on the brighter notes and punchy on the bass. On the electronic side, Hunter by Bjork doesn’t lose clarity and retains Bjork’s powerful vocals as well. About two minutes into the song, there’s a point where Bjork’s vocals soar on the lines ‘how Scandinavian of me’, which, more often than not, falls flat on most headphones. The DT 240 PRO, however, shines through it like a breeze. If we’re seeking perfection, however, the soundstage could definitely have been better - although, the one present is nothing to hold a grudge against. The highs are also dealt with nicely, without falling prey to treble peaking that most products at this price point are guilty off. Our go to test for this is Centuries by Fall Out Boy, which feels painful on most cheap headsets. The DT 240 PRO holds its ground on this track and doesn’t let the harshness surface at any point. The isolation on the DT 240 PRO works quite well only for keeping the music in the headphones, and not the other way round as much. However, the power that these cans pack makes up for that if you’re not too against pushing the volume to the upper extremes. Overall, you get a colourless flat pair of headphones that are borderline skewed towards the popular sound signature these days. To add more colour to it, you could always use the EQ on whichever device you’re powering these from to boost the aspect that you want prominence for. 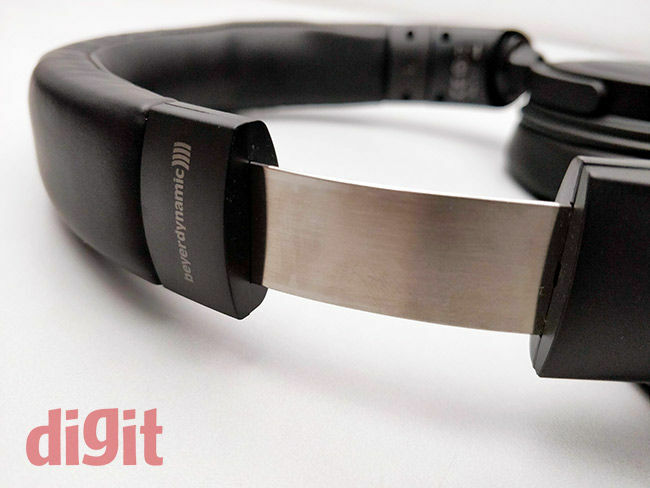 The Beyerdynamic DT 240 PRO is an excellent pair of headphones in almost all aspects. 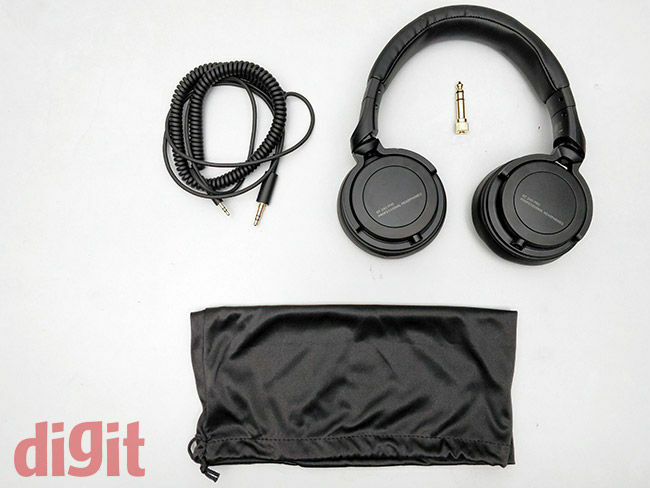 The foldable earcups, the removable cord and its overall compact form max its portability. The metal in the design makes it sturdy while the material chosen for the cups and the headband feels smooth. Even with all of that, the DT 240 PRO doesn’t cut short in the performance department. There’s an adequate degree of flatness to its response without leaving those looking for some extra oomph starving. If these headphones fit your ear, you couldn’t go wrong with them at this price point unless you’re a stickler for absolute flatness in your studio monitors.